Security has become the issue in almost every East African country today. Uganda created a tourism police force; Tanzania and Kenya are equally doing everything possible to ensure that they are safe tourist destination. Zanzibar is also on board with tourist security. After recent bomb blasts on the beautiful island, measures are being taken to improve security for the both the locals and tourists. The threats of terrorism hangs heavy over the island just as it does in Kenya, Uganda, Tanzania. It has become imperative that security be a priority concern for everyone in the islands. Zanzibar is a major tourist destination, for holidays and safaris, but its security in the past two years has been threatened and so has its very lucrative tourism sector. Over a month ago, there were explosions on the island attributed to the growing religious on the island. This decision to tighten security on the island for both locals and tourists could be the thing that saves tourism in Zanzibar. While addressing the Zanzibar Association of Tourism Investors (ZATI) annual general meeting, Mr Omar Yussuf Mzee, the minister for Finance in Zanzibar, said that stakeholders in the Zanzibar tourism industry should be fully involved in this task to keep the island safe. “We should nurture the tourism industry by ensuring that tourists are happy during their stay in the islands. Attacks on visitors cause an adverse impact on the flow of tourists into the country,” warned the minister. Tourism accounts for about 80% of Zanzibar’s foreign earnings, so its a sector that needs to be protected to ensure that these revenues increase. “Tourism growth also means additional employment generation. Investors should also avoid tax evasion and giving wrong information about the number of tourists in their hotels,” he said. The Zanzibar Commissioner of Police, Mr Hamdan Omar, also present at the meeting assured investors that his office was working hard to make sure that there was peace and stability by fighting crime. 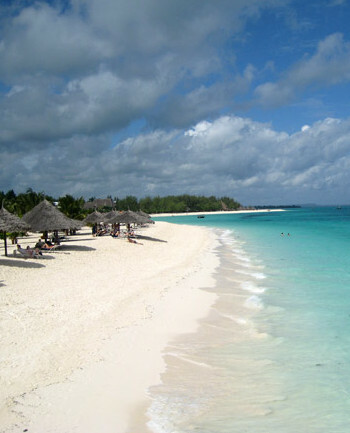 Zanzibar is a tourist destination and is often on the itinerary for people on Tanzania Safari tours and those looking to visit other parts of East Africa. So the decision to improve its security is very important not just for Zanzibar but its neighbours as well. Zanzibar is a popular tourist getaway for many, and serves as a relaxing trip extension for many on African safari in east Africa. A trip to Uganda for gorilla trekking can easily be rounded up with a relaxing holiday on this beautiful island.